There are various products out there that provide your clients with retirement income, and many of the traditional options such as a 401(k), IRA or Roth account come to mind. What many of your clients may not realize is that a properly structured and funded Indexed Universal Life (IUL) policy can provide your clients more benefits with less risk than the traditional options. All of the various retirement accounts discussed in this section fall under the current U.S. Tax Code. The 401(k) is one of the most popular retirement planning accounts in use today. As a reminder, contributions to a 401(k) are not taxed, so both contributions and earnings grow tax-deferred. However, when your clients take out income, they are taxed on the entire distribution at the ordinary income rate. Essentially your clients defer all taxes until they take distributions. As a tax-advantaged retirement account, the government has some limitations on the use of the account. First, the maximum employee contribution in 2017 is $18,000. Additionally, if you are over age 50, you can contribute an additional $6,000 — making your total pre-tax contribution $24,000. Second, if a 401(k) distribution occurs before age 591/2 an additional 10% tax applies to the early distributions. However, under IRS Code Section 72(t)(2) it lists exceptions to this tax, including distributions received in substantially equal periodic payments. Consult with a qualified tax advisor for more information on exceptions to the rule. Last, the government also dictates the longest your clients can defer the tax-advantaged growth, so at age 70½ your clients must start taking out income. The death of loved one always causes stress, and when a person dies, his or her 401k becomes part of his or her taxable estate. Your clients will need to pay income tax on the amount a beneficiary receives (in addition to any estate tax, if owed). A self-directed Individual Retirement Account (IRA) has many similar rules when it comes to tax treatment and tax-advantaged growth and income distribution. First, the maximum individual contribution in 2017 is $5,500. Additionally, if you are over age 50, you can contribute an additional $1,000 — making your total pre-tax contribution $6,500. IRA distributions before age 59½ have a 10% tax penalty and IRS Code Section 72(t)(2) exceptions also apply. By age 70½ your clients must start taking out income. If your clients inherit a traditional IRA from anyone other than their deceased spouse, the beneficiary cannot treat the inherited IRA as their own. This means that your client cannot make any contributions to the IRA. It also means your clients cannot roll over any amounts into or out of the inherited IRA. The Roth IRA is also a tax-advantaged retirement account, but instead the contributions are after-tax, earnings grow tax-deferred, and income is tax-free. Because a Roth operates a little differently than a traditional 401(k) or IRA, there are some additional rules. The maximum individual contribution in 2017 is $5,500. Additionally, if you are over age 50, you can contribute an additional $1,000. However, to make the maximum contributions to a Roth, you must meet specific income limits set by the government. If a Roth distribution occurs before age 59½ an additional 10% tax applies to the early distributions. Unlike a 401k or IRA, there is no date which you must take out your income. When your clients open a Roth IRA, encourage them to fill out a form that names the person(s) who will inherit the Roth IRA after they die. This establishes their Roth IRA beneficiary. This form is more important than many people realize. If your clients leave it blank, or leave their Roth IRAs to their estates, this can create complications and cost tax savings. Cash-value life insurance products, such as Indexed Universal Life (IUL), operate under the tax-code as well. However, the tax codes that apply to cash-value life insurance products are slightly more favorable. When properly funded and structured, contributions to an IUL policy are after-tax, earnings grow tax-deferred, and income can be distributed tax free. Section 7702 of the Internal Revenue Code defines how to structure a cash-value life insurance contract. Ultimately, an individual can contribute as much as they’d like to an IUL product, however keep in mind that the insurance carrier may have certain financial underwriting requirements that must be met in order to issue the policy. In most cases, there are no issues regarding the financial underwriting. Plus when properly structured and funded, beneficiaries receive death benefits tax free. Please keep in mind that the primary reason to purchase a life insurance product is the death benefit. There is a premium limit imposed under section 7702a that defines a Modified Endowment Contract (MEC). A Modified Endowment Contract simply means that there is not enough death benefit in the policy for the amount of premiums submitted. Under an MEC, the death benefit payable to the beneficiary is not subject to income tax, however the policy is no longer considered life insurance by the IRS. A MEC is taxed similar to a non qualified annuity where gains are taxed first on any withdrawals under LIFO accounting. Remember, the life insurance contract may have a surrender-charge period during the early years of the contract, which your clients must be made aware of. Outside of the surrender penalties, there are no government-imposed tax penalties when the policy is properly structured. Indexed Universal Life provides clients with premium flexibility, so that if a situation arises where it becomes difficult for clients to make a full contribution, they can adjust the premium down to more manageable levels. IUL policies also offer death benefit flexibility. You can structure the policy to provide more death beneﬁt during the contribution period, or the client could have a lower initial death beneﬁt that grows as contributions are made. Having a lower initial death beneﬁt that grows often times results in more income distribution down the road. Plus, once the policy is in force, if a situation arises where the client needs to reduce death benefits, they may have the flexibility to do so. Last, IUL polices allow the client to take income at any age, for any reason without tax penalty. 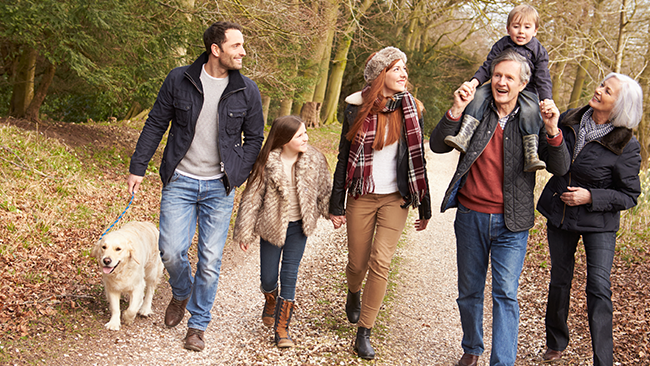 So with cash-value life insurance like IUL, your clients have a stronger death benefit to protect their loved ones. Additionally, they can experience less stock market risk through the use of the crediting strategies within the policy. And last, should they need income down the road, they'll have a less taxing way to access those funds.